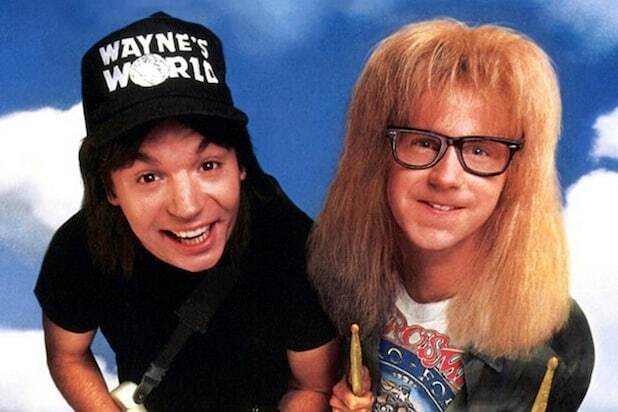 Mike Myers and Dana Carvey turned their hit "SNL" sketch "Wayne's World" into one of the 1990s quintessential cult films. It opened in theaters on Valentine's Day 25 years ago. And though critics grumbled about it, it wowed audiences with its ridiculous number of gags. Directed by "Decline of Western Civilization" mastermind Penelope Spheeris, it remains one of the great send-ups of slacker culture and corporate media. In celebration of it, IMDb and TheWrap have gathered 12 facts about the comedy you probably didn't know. It's not uncommon for shows and movies involving teens to use actors in their twenties and thirties as the lead characters, and "Wayne's World" was no exception. At the time of filming, Myers was 28 and Carvey was 36. 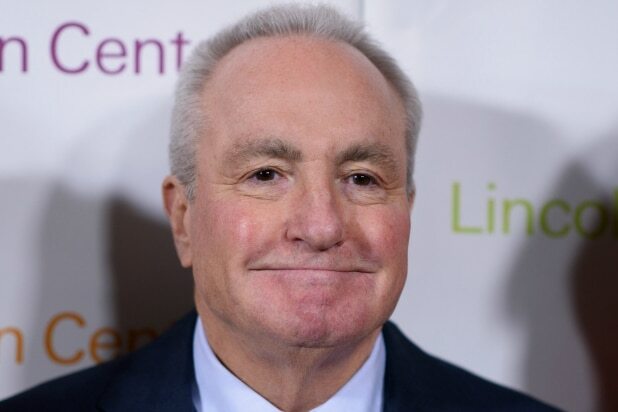 Myers said that he was convinced that "Wayne's World" was never going to make it through production, and credited the film's producer, "SNL" creator Lorne Michaels, with pushing the project past skeptical Paramount execs (via Yahoo). Myers noted that the first notes back from Paramount on his script for the film were: "I don't get it." The scene where Garth asks Wayne if he was ever turned on by Bugs Bunny dressed in drag was actually based on an ad-libbed conversation Carvey and Myers had while waiting for a plane to fly by so they could start filming. Myers loved the joke so much he asked Carvey to use it again when the cameras were rolling. After filming wrapped, Carvey suffered from severe jaw pain after emulating Garth's overbite. He had to hold bags of ice to his jaw for several days after shooting ended. In 2014, Myers directed a documentary about Shep Gordon, a famous Hollywood agent who managed the careers of stars like Emeril Lagasse, Pink Floyd, Blondie, and Alice Cooper. 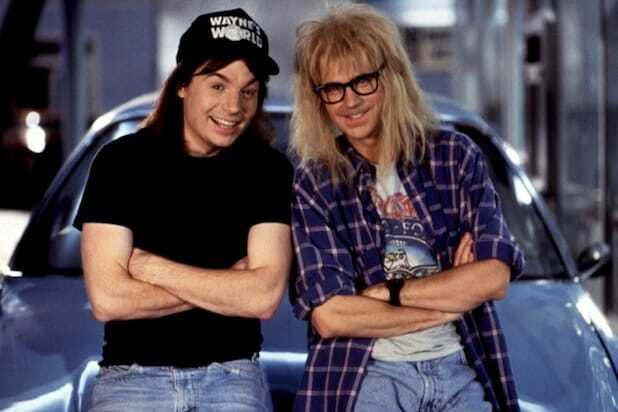 The documentary traces its roots back to "Wayne's World," when Myers and Gordon first met while working on the film with Cooper. Back in the '90s, Dennis Hopper was one of the most popular actors in Hollywood when it came to playing villains, and Spheeris wanted to cast him as the father figure to Wayne's nemesis and scumbag TV producer, Benjamin Oliver (Rob Lowe). Unfortunately, budget constraints prevented the hire, so Hopper's character got merged into the Benjamin role. The famous "Bohemian Rhapsody" lip-synch scene was based on Myers' childhood memories of singing along to the song in the car. According to Rolling Stone, Michaels and Spheeris wanted to use a Guns N' Roses song as that band was more contemporary, but Myers threatened to walk off set if he didn't get his way. It took four hours to complete the Bohemian Rhapsody scene, and Myers was complaining of whiplash and neck strain from headbanging so much, according to an interview by Spheeris in Entertainment Weekly. But that famous scene was just one of many moments where Myers and Spheeris locked horns over the direction of the movie. Eventually, the two severed ties with each other after Spheeris and Myers were bitterly split on Spheeris' final cut of the film. Spheeris blamed Myers for blocking her from returning to direct the sequel. The two eventually reconciled at a cast reunion in 2013. One scene that was put in by Spheeris that Myers thought would fall flat was Robert Patrick's cameo as a police officer that looks exactly like the T-1000 that Patrick played in "Terminator 2." Myers thought that the reference wouldn't work, but it ended up getting the biggest laughs during test screenings. Another song that "Wayne's World" used as a gag was "Stairway to Heaven," but the royalties were far too costly for the film's $20 million budget. As a result, Myers had to make the gag work while only using five notes from the song. And he succeeded. "Wayne's World" turned "Bohemian Rhapsody" into a hit again, 17 years after it was released. Queen guitarist Brian May showed the film to Freddie Mercury three months before he died of HIV-AIDS, and Mercury reportedly loved the scene. Check out IMDb for even more "Wayne's World" trivia.